Join us for a discussion on how best to enable development in emerging economies while maintaining their culture and values. 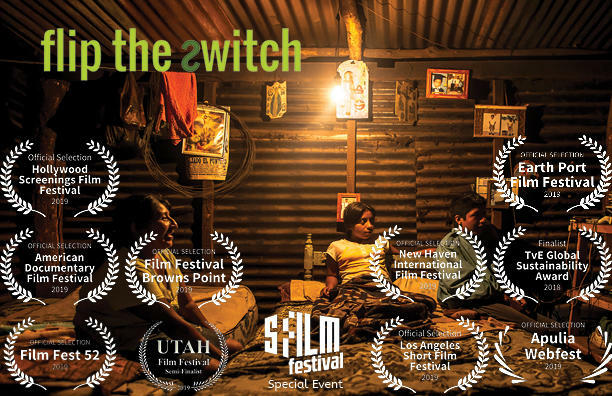 Featuring leading experts from business, government, and academia this discussion will also feature the New York City premiere of critically acclaimed documentary Flip the Switch. Michelle R. Paige Paterson was the First Lady of New York state. The wife of New York Governor David Paterson, she became the First Lady on March 17, 2008, when her husband was sworn in as governor, following the resignation of Eliot Spitzer. Jack Wilson McConnell, Baron McConnell of Glenscorrodale, PC is a Scottish politician and a Labour life peer in the House of Lords. He was the First Minister of Scotland from 2001 to 2007. He was the Member of the Scottish Parliament for Motherwell and Wishaw from 1999 to 2011. Mariane van Neyenhoff Pearl is a French freelance journalist And former reporter and columnist. for Glamour magazine. She is the widow of Daniel Pearl, an American journalist who was the Southeast Asia Bureau Chief for The Wall Street Journal. He was kidnapped and murdered by terrorists in Pakistan in early 2002, during the early months of the United States' War on Terror. Ian Vásquez is the director of the Cato Institute’s Center for Global Liberty and Prosperity. His articles have appeared in newspapers throughout the United States and Latin America, and he is a columnist at El Comercio (Peru). Vásquez has appeared on CNBC, NBC, C-SPAN, CNN, Telemundo, Univisión, and Canadian Television, as well as National Public Radio and Voice of America, discussing foreign policy and development issues. Chi was the first program manager of the Anzisha Prize, a pan-African entrepreneurship award created by the African Leadership Academy and The MasterCard Foundation. She led strategy development, executed marketing initiatives in 12 African countries. Chi founded ResSpot, a global 911 “Uber for emergency response” app. Prior to her work in South Africa, Chi was an account strategist at Google. Eda is a Principal at Persistent. Eda has over 10 years of entrepreneurship and investment banking advisory experience in the U.S. and Africa. She was previously a Vice President in the Global Power and Utilities group of Citigroup's Investment Banking division. she also co-founded businesses in the food service and agribusiness sectors in West Africa. She holds an MBA from Columbia Business School and a BS in Foreign Service from Georgetown University. Piera Van de Wiel is an Actor, Singer and Entrepreneur. As a Singer she has released an original Single called "It's Complicated" with Canadian music producer Steve Barakatt with press in Broadway World, Yahoo, and Europa Press. She is also the Founder of the Collective Stronger With Music. Reserved seating up until event start time in the front 5 rows. Access to our after event. All the benefits of VIP tickets but have your brand Sponsored in our Programming Materials, Digital Event Materials, and mentioned at the program.